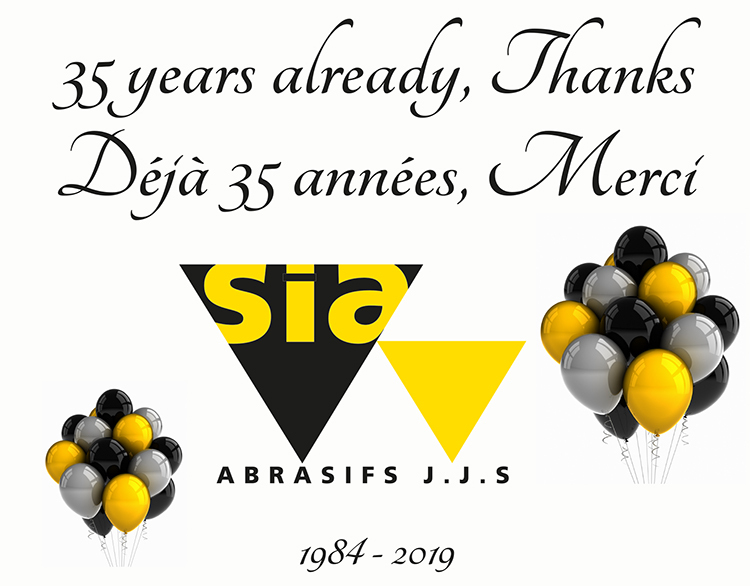 35 Years | sia Abrasifs J.J.S. Inc.
all rights reserved © 2019 SIA Abrasifs J.J.S. Inc.